It was only just recently when I learned to NOT plan trips too much and just go with the flow. I learned that it's more fun that way, especially when you accidentally discover hidden gems during the trip. Armed with just Google Maps and some random assortment of snacks and picnic items, the husband and I decided to bring the kids to Caliraya for a weekday sojourn. Why on a weekday? No traffic and no tourists. This man-made lake located in Laguna, Philippines is a popular spot for water sports and outdoor recreation like camping and fishing. Just a couple of hours away from Manila, Lake Caliraya is one of those accessible destinations if you want a quick break from the daily city grind. 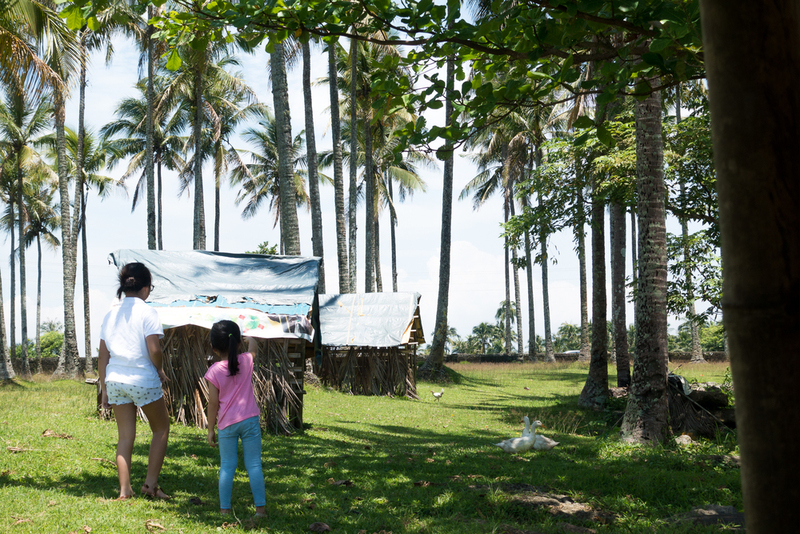 We were lucky to have found this picnic spot by accident -- the caretaker, Mang Mulo, was very accommodating and you can rent huts for just Php 300. We forgot to get the name of this place but you can check how to get here via this pin. You can also contact Mang Mulo at +63 9974360034. Meals can be bought from a nearby carinderia (local eatery) just five minutes away from this picnic area. Look for the only airconditioned carinderia (sorry, forgot the name). We loved the sisig, lumpia and squid! Fun fact -- some parts of the movie Apocalypse Now were filmed on this very spot. We pretty much spent about half a day just enjoying the fresh air and letting these city kids run around and appreciate nature. Oh, and the little one wanted to vlog about this particular adventure. Please excuse the shaky footage! 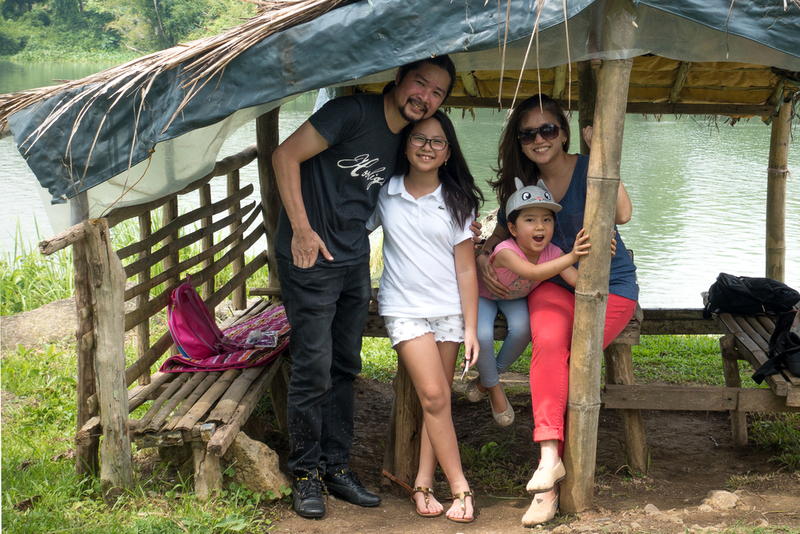 There's another beautiful attraction a few minutes away from Lake Caliraya. Check out the mini falls in Bumbungan Eco Park. Escape the mad rush of the city and head to the heart of Morong, Bataan. It's a just a couple of hours away from Manila, making it very accessible to those who need a quick getaway to destress. The Bumbungan River (also called Pagsanjan River) is a major tourist attraction in Laguna, Philippines. The waterfalls for which it is famous for is called Magdapio Falls, or more commonly known as Pagsanjan Falls. The Eco Park was established where the river was dammed near the town center of Cavinti. Mt. Banahaw is an active volcano located in the middle of the Laguna and Quezon provinces. It towers over 7,000 feet high and is considered the tallest mountain in the Calabarzon region. Mactan Island is part of the Cebu province in the Visayas region of the Philippines. The main draw of this island is the island hopping trips in the Bohol Strait between Cebu and Bohol. We gravitate towards remote and secluded places. We love conversations with just a handful of people and being able to freely roam around without worrying about going through a crowd. And that’s exactly what my husband Miguel gave us when he booked Qi Palawan for his 40th and my daughter Talia’s 12th birthday celebration.